What is a Cable Jacket? The optical fiber cable is composed of the inner core, cladding, coating, strength member and the outer cable jacket. The core made of plastic or glass is a physical medium used for optical signal transmission. Because bare fibers are easily broken, the outer cable jacket is required to protect optical fibers. Just as mentioned above, the cable jacket is the first line of moisture, mechanical, flame and chemical protection for cables. If there is no jacket, fiber optic cable is likely to be damaged during and after installation. Common jacket materials are PE (Polyethylene), PVC (Polyvinyl Chloride) and LSZH (Low Smoke Zero Halogen). 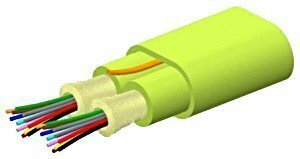 These are the common ratings of fiber optic cable jacket. We should follow these cable jacket ratings in the NEC guidelines to minimize the risk of impact, fire and toxic smoke in each area, thus preventing fire. Besides, fiber optic cable plays an important role in the field of communication. 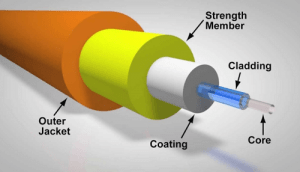 Suggested for you What is Fiber Optic Cable and How Does it Work? 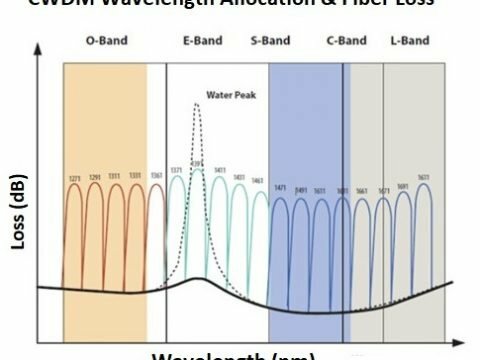 ← Passive CWDM VS DWDM – Which to choose?